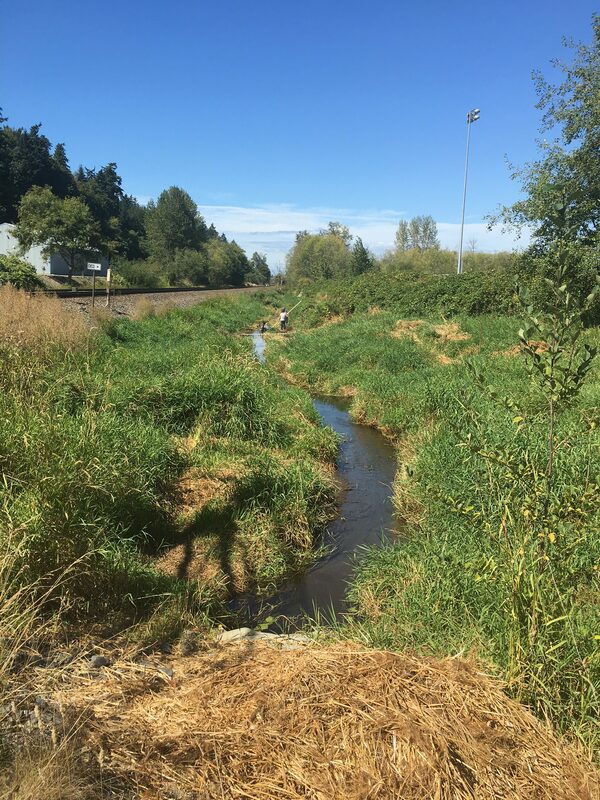 In late August, Washington Conservation Corps crew members and the community volunteers, led by Loren Paschich, completed work clearing out reed canarygrass from Canyon Creek (upstream of Clear Creek) from 52nd about 1600 feet northwest. Loren’s team spent most of the summer clearing blackberry and thick grass along the drainage easement, which allowed the WCC crews to efficiently work within the creek. 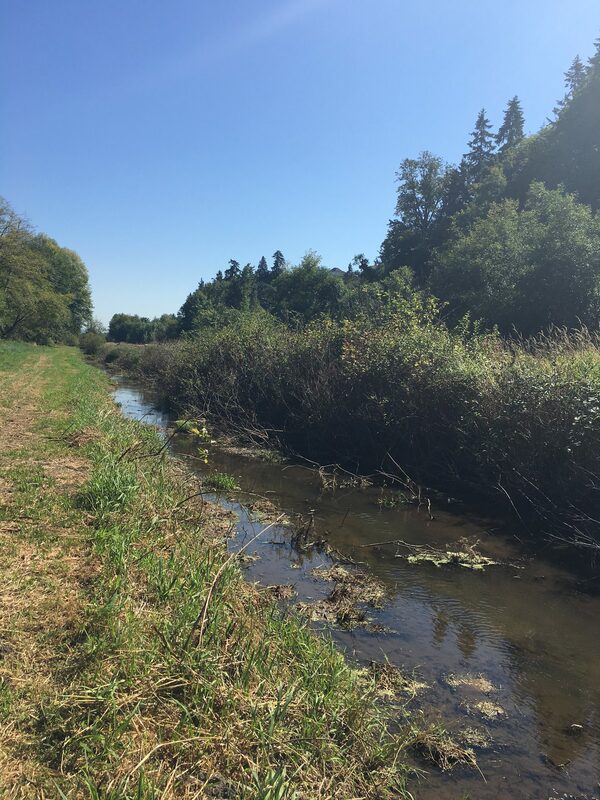 While the crew worked on the creek, Loren and his team also performed maintenance on Nancy’s Ditch, parts of South Ditch, and on the northwest portion of the creek. Cleared out Canyon Creek, after WCC work. Picture taken from the culvert above 52nd, looking northwest on August 29th, 2016. Cleared out Canyon Creek, after WCC work, looking towards 52nd. Picture taken August 29th, 2016. Cleared out Canyon Creek, after WCC work, looking towards 52nd. Visible water movement. 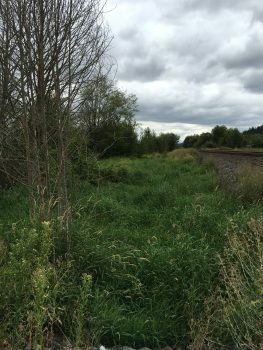 Picture taken August 29th, 2016. 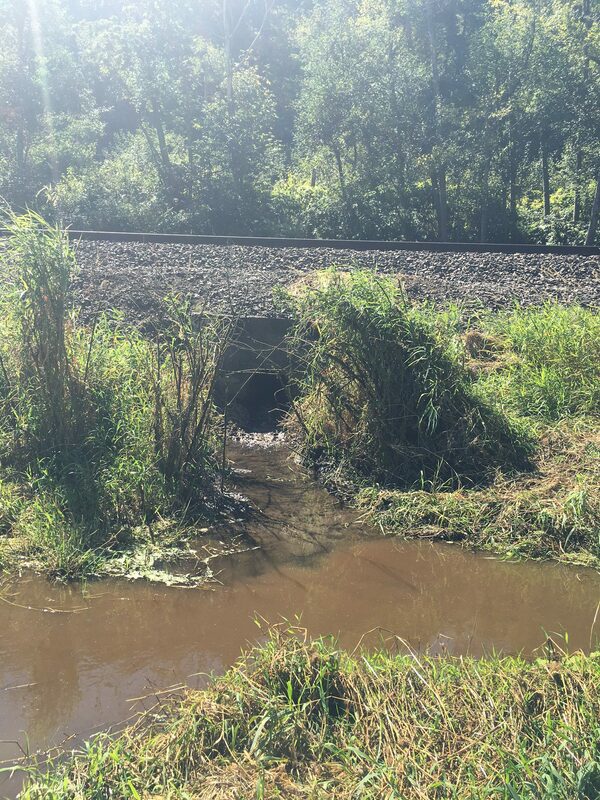 The culvert underneath 52nd connecting to Clear Creek, after WCC work. Picture taken August 29, 2016. 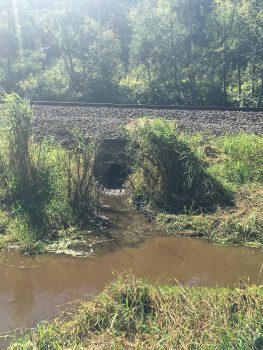 Drainage District 10 is working on a maintenance plan for the coming year to build on these efforts. 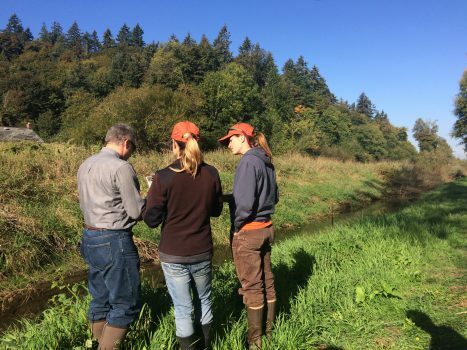 This month, the Farming in the Floodplain Project technical contractors, ESA, has a field crew performing a drainage inventory on Clear Creek, Canyon Creek, and the drainage ditches. 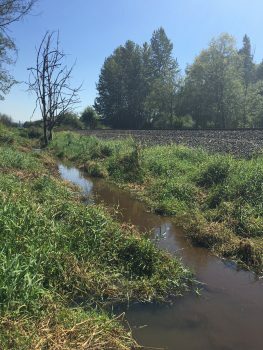 Thank you to the many landowners who have assisted with access to the ditches! ESA’s team preparing for the drainage inventory. September 20th, 2016. Will provide a baseline for existing conditions so that the County’s proposed project and other future planning and project efforts can be appropriately evaluated for their impacts or improvements to drainage. We will be reaching out to landowners in advance of this work to discuss any questions you might have and in some cases, request your permission to access the drainage ditches adjacent to your property. 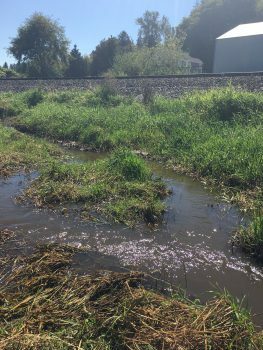 A preliminary report will be made available in late Fall.